The Sultan secretly commissions a great book: a celebration of his life and the Ottoman Empire, to be illuminated by the best artists of the day - in the European manner. In Istanbul at a time of violent fundamentalism, however, this is a dangerous proposition. Even the illustrious circle of artists are not allowed to know for whom they are working. But when one of the miniaturists is murdered, their Master has to seek outside help. Did the dead painter fall victim to professional rivalry, romantic jealousy or religious terror? With the Sultan demanding an answer within three days, perhaps the clue lies somewhere in the half-finished pictures . 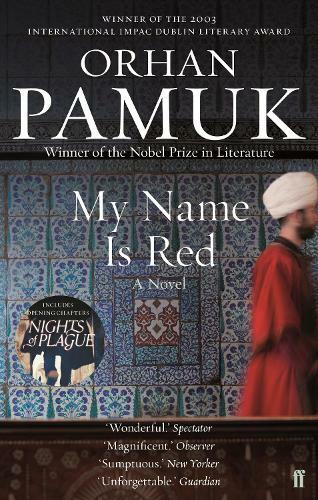 . . From Turkey's winner of the Nobel Prize and author of Istanbul and The Museum of Innocence, this novel is a thrilling murder mystery set amid the splendour of Istanbul and the Ottoman Empire. Part fantasy and part philosophical puzzle, My Name is Red is also a stunning meditation on love, artistic devotion and the tensions between East and West.